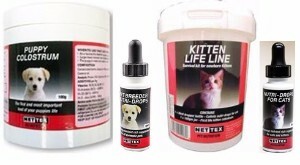 Nettex Equine Products The full range of Nettex Fly Repellent, Grooming and Nutrition Products at great prices. 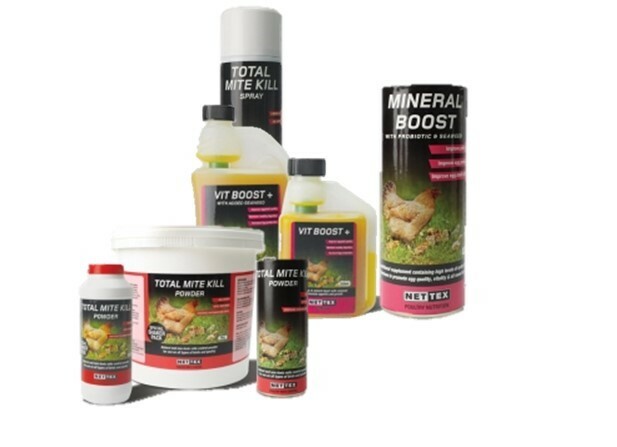 Nettex Poultry Products Nettex Poultry Products are a comprehensive range for poultry health, maintenance and nutrition. We also sell to Pigeon fanciers as a high performance Nutrition boost. 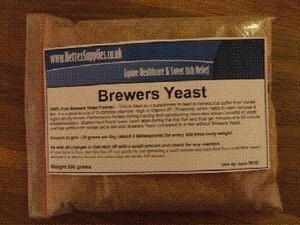 Premium Grade Brewers Yeast You will not buy this quality cheaper elsewhere. This is ideal as a supplement to feed to horses that suffer from Sweet Itch. Verm-X Natural Product Full Range We stock the complete range of Verm-x products at the best prices. Verm-x is the only intestinal hygiene product approved for use on organic farms. Nettex Itch Stop Salve Complete - Our coloured cob suffered from Sweet Itch every summer until we discovered Nettex Itch Stop Salve Complete. We were so impressed by the quality of this product that we decided to try other Nettex products such as Nettex Fly Repellent, Nettex Equine Vet Scrub, Nettex Mane and Tail Detangler and Nettex Tea tree Shampoo. None of our local Supply shops kept Nettex products in stock so we decided to provide an online service for people just like ourselves. We aim to provide high quality products and a reliable service for customers. These prices are the best you will find, even when you add postage and packing. Blakemore of Cardiff is an independent retailer of Net-tex Products. We purchase from Net-tex Industries who are the manufacturer and wholesaler of a wide range of High Quality Equine, Poultry and Agricultural and Pet Products. We purchase from Paddocks Farm Partnership Ltd, the makers of Verm-X, who are the only company in the world that exclusively focuses on producing natural intestinal hygiene products for animals.